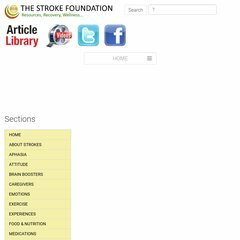 www.Thestrokefoundation.com - The Stroke Foundation Resources.. Topics: The Stroke Foundation, and Neharika Sabharwal. Its local IP address is 69.89.31.85. ns2.bluehost.com, and ns1.bluehost.com are its DNS Nameservers. It is hosted by American Registry For Internet Numbers (Virginia, Chantilly,) using Apache web server.